Shootings have killed one person and wounded eight since Tuesday morning, police said. CHICAGO — Shootings have killed one person and wounded eight people since Tuesday morning, police said. • At 9:05 a.m. Tuesday, a 63-year-old man was gunned down in South Shore. • At 1:32 a.m. Wednesday, a 20-year-old man and 23-year-old man were shot inside a parked minivan in Ravenswood. • At 8:56 p.m. Tuesday, a 17-year-old was shot in Montclare, police said. The teen was walking in the 7000 block of West Grand Avenue when someone walked up to him, took out a gun and fired shots. The teen was hit in his right leg and he was taken to Loyola Hospital in serious condition, police said. • At 7:58 p.m., a 20-year-old man was shot while riding a bike in Albany Park. • At 7:20 p.m., a 14-year-old boy was shot in North Lawndale, police said. The boy was on the sidewalk in the 1300 block of South Independence Boulevard when two people walked up to him and fired shots. A bullet grazed the boy's right thigh and he was taken to Stroger Hospital in good condition, police said. • At 7:06 p.m., a 22-year-old man was shot in Chatham, police said. The man was getting out of his car in the 8500 block of South Drexel Avenue when someone walked up to him, took out a gun and fired shots. The man was hit in his abdomen and he was taken to Advocate Christ Medical Center in serious condition, police said. 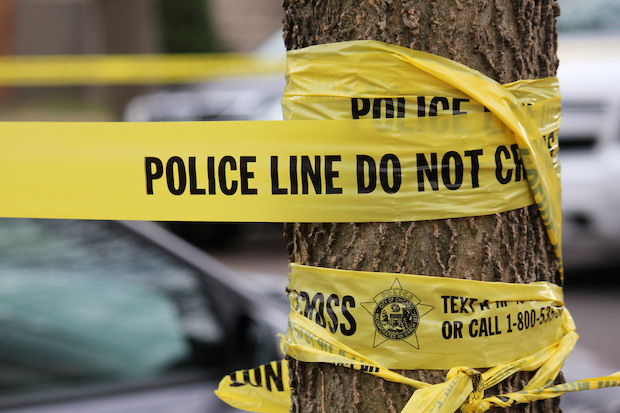 • At 1:45 p.m., a 29-year-old man was shot while standing outside in Morgan Park. • At 11:59 a.m., a 21-year-old man was shot in Chatham, police said. The man was in the 8100 block of South Drexel when he was shot in his left thigh. The man was taken to Advocate Christ Medical Center in good condition, police said.